What happens when you collect over time a dozen bottles of second grand cru classé claret from the top vintages? There are a few options. You could put them on the market and make decent returns, open it for special anniversaries, leave the bottles in the cellar to potentially increase in value or simply pull out the cork on a Friday evening with no reason at all while you sit in your sofa half naked reading a book or watching Citizen Kane while trying to figure out what the hell is “rosebud”. Whether you found yourself in one of those scenarios or not, there is one more thing you could do, a vertical tasting. 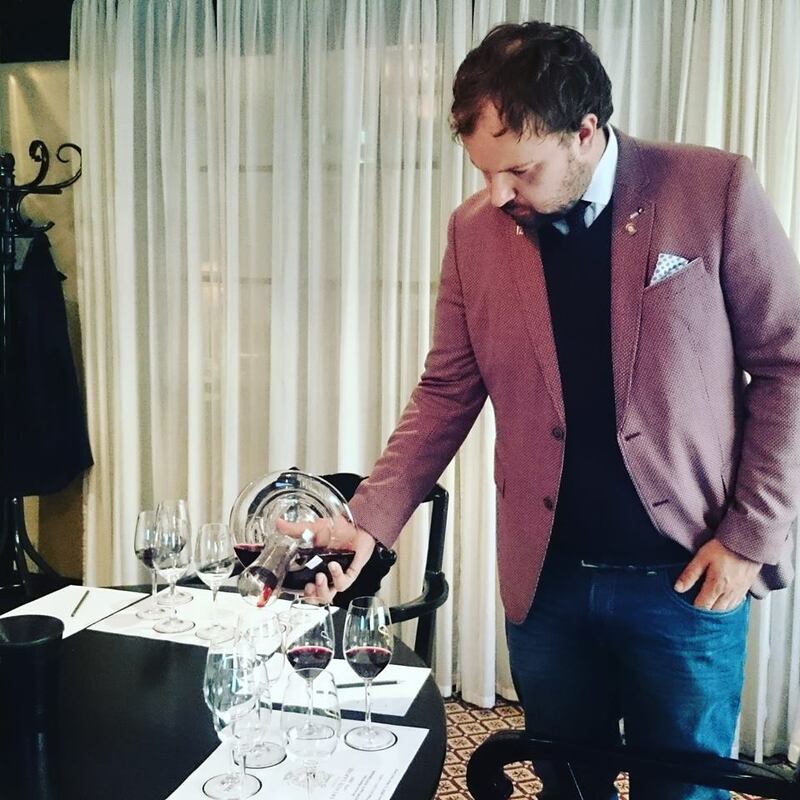 I was always fond of vertical tastings, because you can learn a great deal about the winery / château, see how the wine develops over time and ultimately get familiar with the style of wine made by the estate. 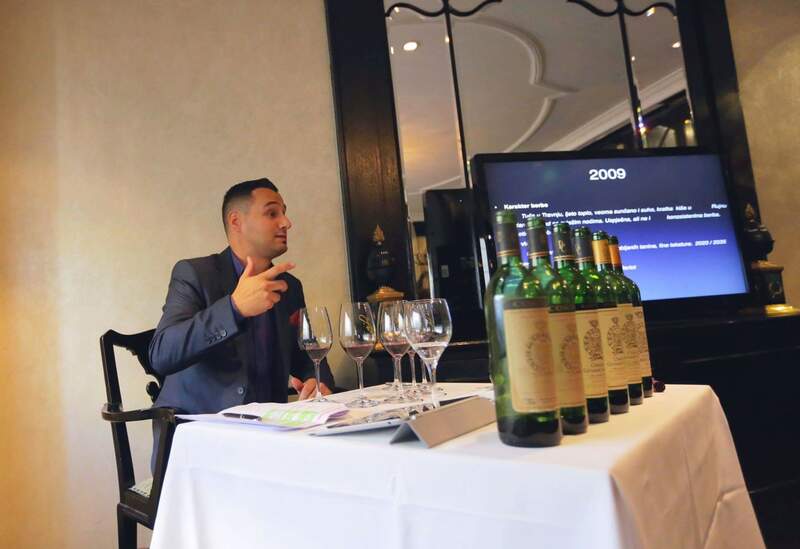 On November 24th I hosted a Bordeaux Masterclass of Château Gruaud Larose at Zagreb VINOcom wine festival at Hotel Esplanade. This was 12th edition of Zagreb VINOcom, Croatia’s major wine event which displays around 300 winemakers and small food producers each year and offers many interesting workshops during the two day event. Château Gruaud Larose is one of my favourite châteaux from Médoc. 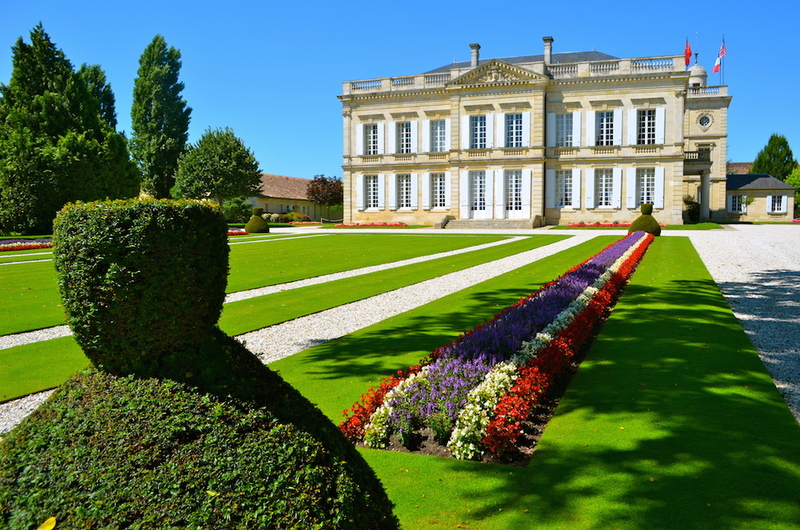 This second grand cru classé estate located in Saint Julien appellation is surrounded by prestige Pauillac appellation on the North and much bigger Margaux appellation on the South. Even though Saint Julien accounts for just 910 hectares, it has the most classified area of vineyards among all the major appellations and it is home to “super second” châteaux such Château Léoville Las Cases and Château Ducru-Beaucaillou, that in some vintages produce the level of First Growth quality. 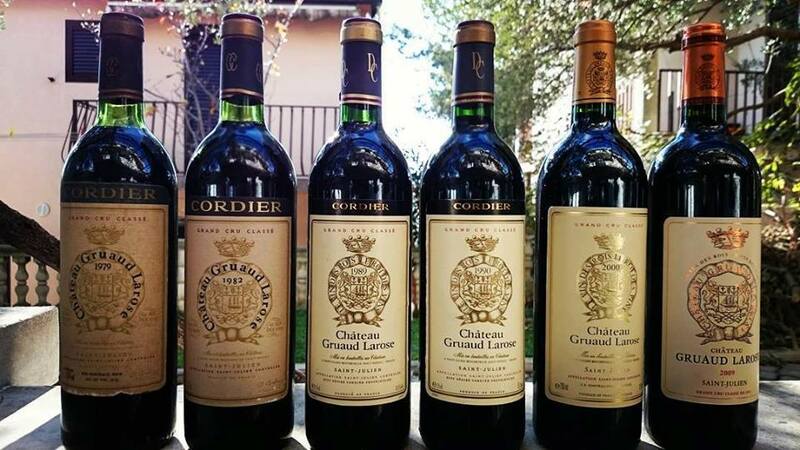 Château Gruaud Larose marked its renaissance during the Cordier ownership, owned by one of the oldest Bordeaux negociants Désiré Cordier. During the 1980s under Cordier, Château Gruaud Larose produced some of the best and most consistent wines in Saint Julien appellation and gained its reputation. Vintages like 1982, 1985, 1986, 1989 and 1990 performed outstanding. The wines were definitely made for the long haul and were tannic and closed in its early age. 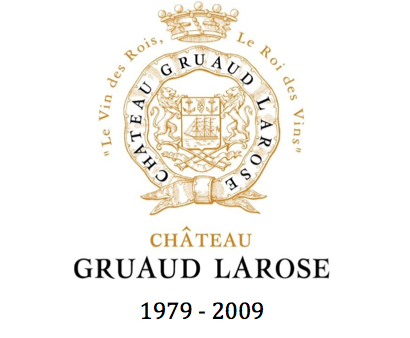 The modern era of Château Gruaud Larose started in 1997 when it was purchased by the Taillan Group (Jacques Merlot) which already owned several châteaux. Things improved in vinification parcel by parcel, lower fermentation temperatures were applied as well as much gentle extractions, longer maturation and higher percentage of new oak used for the grand vin, about 80% in compare to 40%. Organic practices were introduced in vineyard and today, 40 out of 82 hectares are under biodynamic techniques. 82 hectare vineyard of Château Gruaud Larose is not only one of the biggest single block vineyards in Bordeaux but it also enjoys the highest elevation in Saint Julien of 22 meters. For the Bordeaux Masterclass I’ve selected an interesting era from the 1979 to 2009 with legendary vintages; 1979, 1982, 1989, 1990, 2000 and 2009. 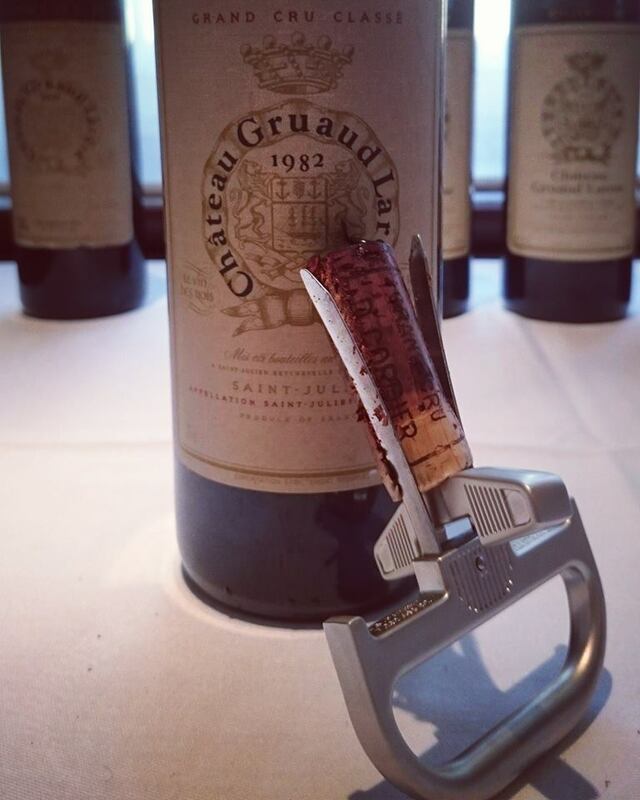 Although 1979 might not be considered as a very good vintage in Bordeaux, Château Gruaud Larose made a lovely wine. All 6 bottles were in perfect condition, neck fills and undamaged labels. They were sourced form several reliable merchants and auction houses and were kept in good storage environment. A day before masterclass, all the wines were tested with Coravin system and my trusty ISO glasses from the WSET. The samples showed clear appearance and clean bouquet with no faulty or off aromas. The wines showed such youthfulness and opulence. I was super excited! 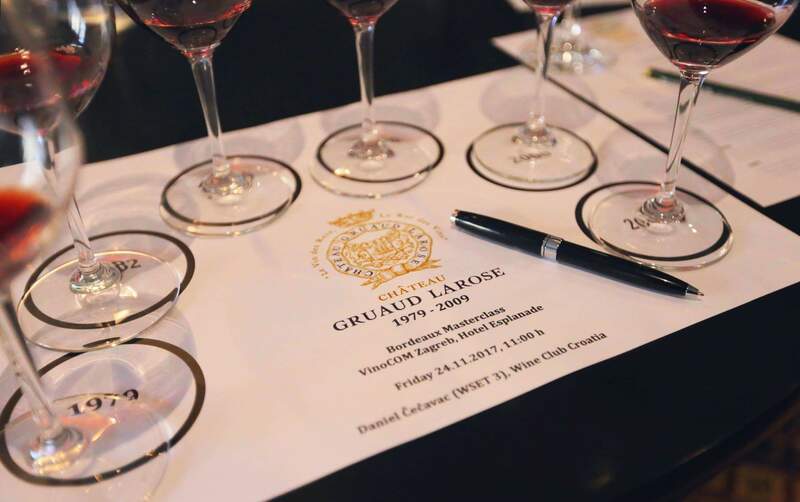 A few hours before the Masterclass, the wines were prepared and ’79, ’82 and ’85 were opened with The Durand corkscrew to avoid fragile corks being broken or stuck into the neck of the bottle. All the wines were decanted except the ’79 which was poured directly into the glasses. Thanks to very good friend Roko Bekavac, a former head sommelier at Paradigma restaurant in Split and current Maître d’hotel / Head Sommelier at Boškinac in Novalja, decanting and serving went smooth. It was relatively a small group at the tasting, only 9 people. However, for the vertical tastings like this, I would rather have 9 than 18 people. It was very intimate and relaxed atmosphere. 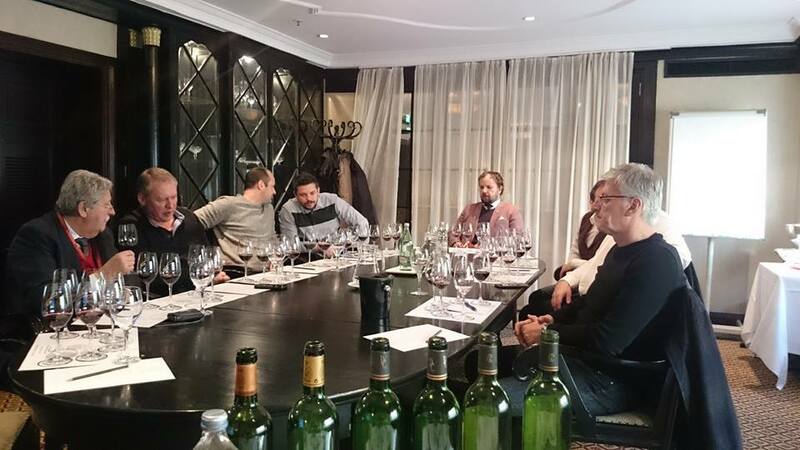 The group included several wine enthusiasts and people from the wine industry such as Željko Suhadolnik editor in chief at Svijet u Čaši, Moreno Degrassi winemaker, Ilija Malinkovski owner of Château Kamnik and sommelier Roko Bekavac. All the wines were of consistent quality and showed amazing purity of fruits, minerality, fine tannins, terroir expression and vintage character. The intensity of the colour was remarkably deep and youthful. Even the appearance of the ’79 was lively with slight discolouration at the rim. Bouquet was very intense all over the range with plenty of fruits, spices, garrigue, leather and earthiness. Overall the wines showed incredible balance of fruits, tannins, acidities and alcohol. I was surprised by the amount of concentration of sweet fruits, fine tannins and the silky textures the wines had. Especially the ’89 and ’00 vintages. They both share the similar complex profile and were among the favourites at the tasting. Highly expected ’82 was sadly a bit closed to some other bottles I tried this year, but showed very floral nuances, huge concentration, dusty tannins and exceptionally long finish. Very perfumed ’90 vintage was marked with opulent ripe fruits, sweet baking spices and bold structure. The youngest vintage at the vertical, ’09 displayed plush and cooked fruits, warm character and nicely integrated silky tannins. Vintage info: the 1979 was a tough vintage which resulted in big yields and diluted wines. The Cabernet Sauvignon didn’t ripen well and the wines were not consistent. 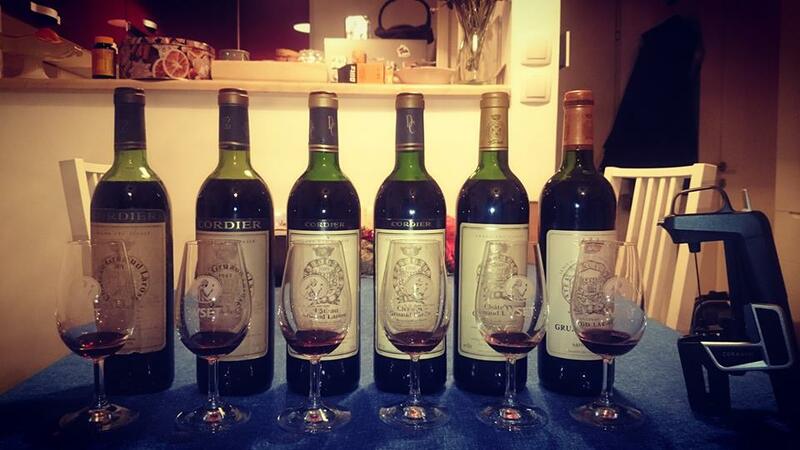 However, in Médoc, Château Gruaud Larose performed quite well and made one of the very best wines of 1979 vintage. Unfortunately no assemblage info. The château was kind enough to send me a detailed list of growing season and technical data, however the earliest tracking goes from 1988. Vintage info: the 1982 was a big success in Bordeaux. It was first vintage after legendary 1961 to result in such textured and opulent wines. Almost perfect weather conditions with hot and dry summer and two days of September rain allowed Cabernet Sauvignon to fully ripen. Merlot was great too. The wines were consistent, packed with loads of fruits, fine tannins and designed to last forever. Yes. Forever. Vintage info: 1989 growing season started with rainy and cold spring. However, things quickly improved and the flowering started 3 weeks earlier! The summer was extremely hot and dry and the harvest started on August 31! 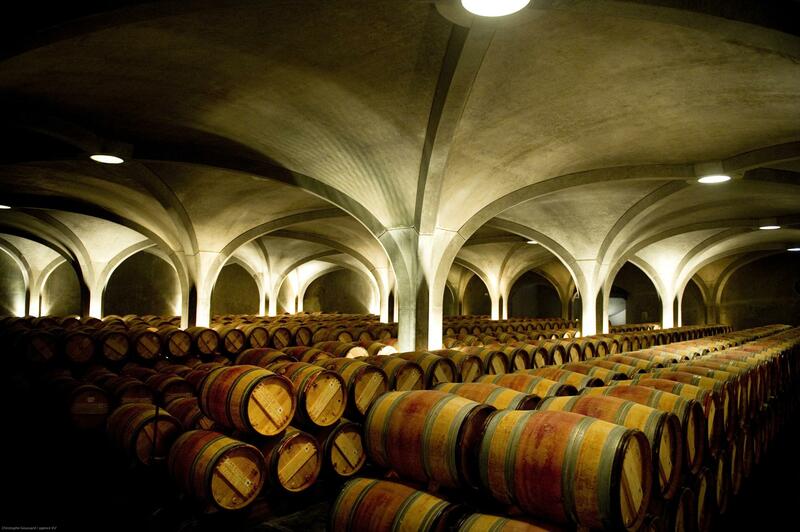 Along with 1893, the 1989 is the record year for the earliest harvest in the history of Bordeaux. The vintage resulted in rich and balanced wines with ripe fruits and beautiful tannins. Médoc performed outstanding. Assemblage: 65% Cabernet Sauvignon, 27% Merlot, 6% Cabernet Franc and 2% Petit Verdot. 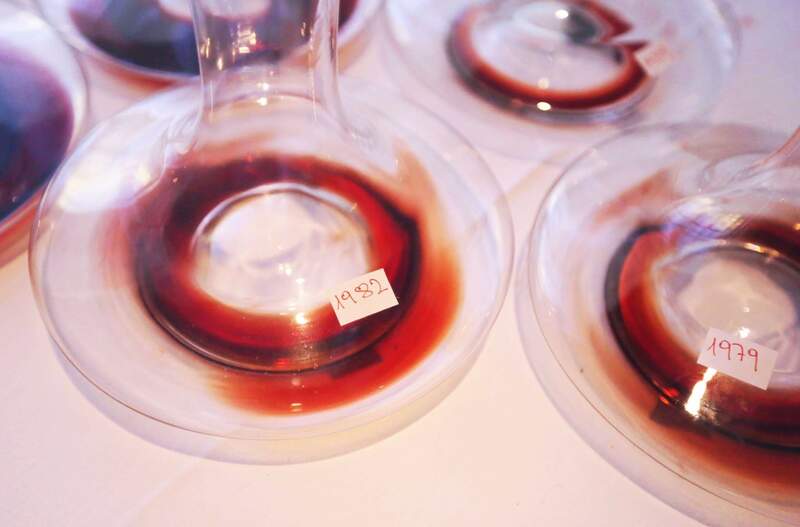 Vintage info: the 1990 vintage is a result of one of the warmest years in 20th century in Bordeaux. Similar profile as the 1989 vintage. However, the 1990 had some storm and rain after a long hot and dry summer which decreased stress on grapevines and allowed development of sugars. The vintage was successful for both banks and made consistent wines on all appellations and ranges of classification. Assemblage: 64% Cabernet Sauvignon, 28% Merlot, 5% Cabernet Franc and 3% Petit Verdot. Vintage info: the 2000 had serious problems with mildew at the very start of the growing season. June and July were cold and wet and things were not looking good. Following two months have brought plenty of sunshine, warmth and drought condition. There was an incredible concentration in the grapes. Mid September had a perfect amount of rain which resulted in consistent ripening. The vintage was success for both banks in Bordeaux. Assemblage: 65% Cabernet Sauvignon, 29% Merlot, 3% Cabernet Franc, 2% Petit Verdot and 1% Malbec. 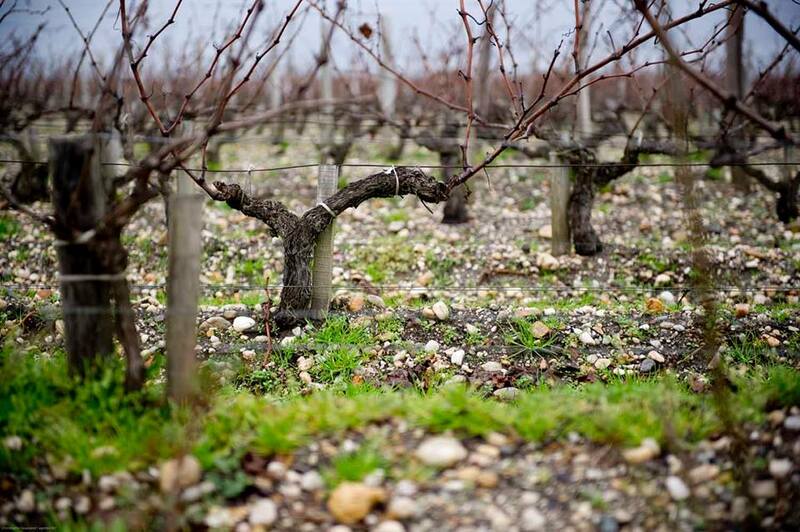 Vintage info: the 2009 started rainy with average temperatures and hail in April where it did damage in Péssac-Leognan appellation and part of Right bank. The rest of the growing season was fantastic, with beautiful sunny, warm and dry weather. September expected a big rain but as it turns out only a few drops fell. The October continued sunny and warm with cooler nights which allowed the grapes to ripe perfectly. The 2009 is a legendary vintage, however it is not a consistent one.